SARRC Community Breakfast Table Captains & Guests are invited to a special tour! 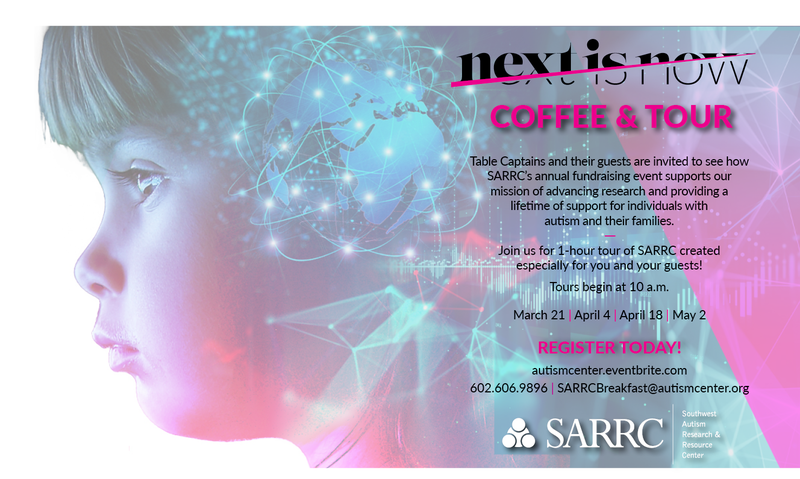 We invite all our Breakfast Table Captains and their guests to join us for a special behind the scenes tour of Southwest Autism Research and Resource Center. You will see first-hand the dynamic work being done at SARRC. » Register for this free tour here.